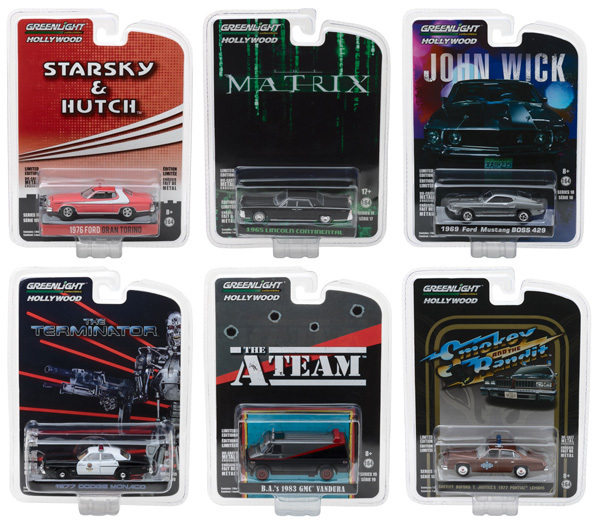 Hollywood Series Greatest Hits 2018 - 6-Piece SET in Non-Returnable Factory-Sealed Case Find the GREEN MACHINES! GreenLight's Ultimate Collector's Item: the 1:64 scale Green Machine. Making up only 4% of the 1:64 scale production run, these cars are being sought by collectors worldwide!